Naturally dyed wild silk scarf made in Madagascar. 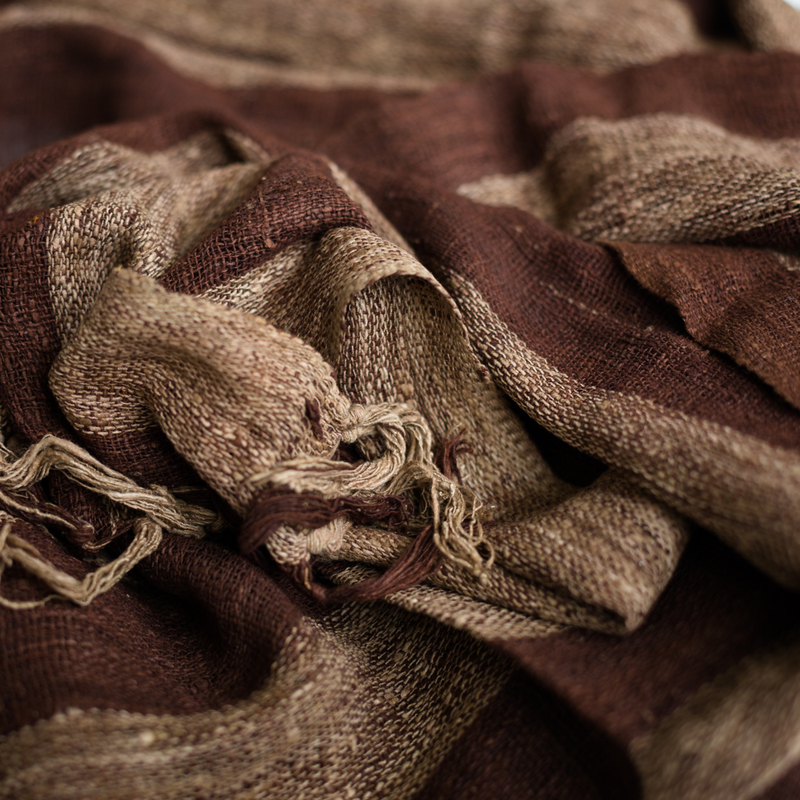 This robust naturally dyed wild silk scarf is also suitable for men. 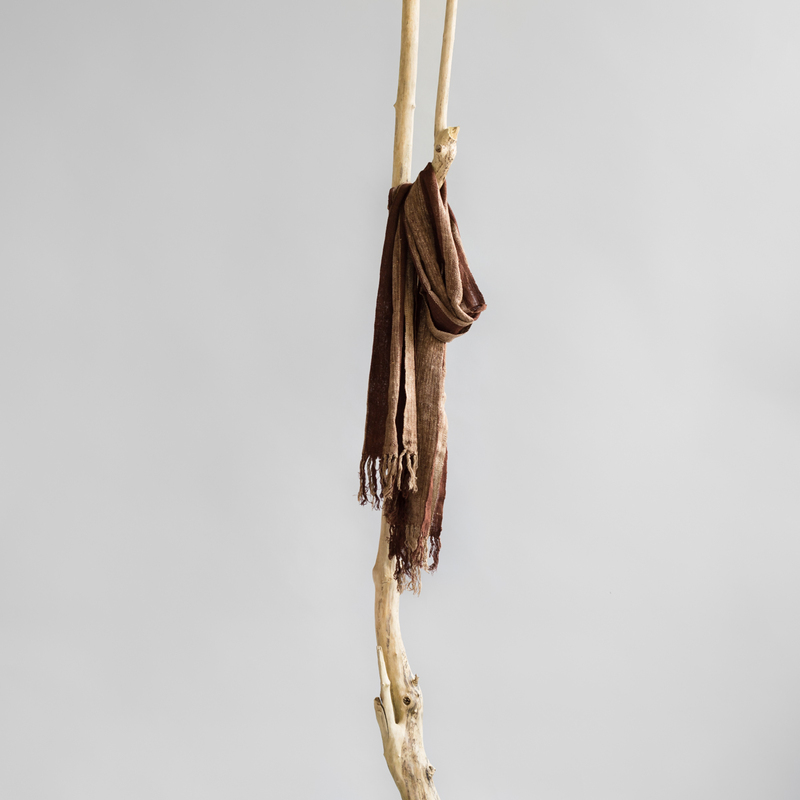 The scarf is handwoven by artisans from the south of Madagascar who find the wild silk cocoons in the Tapia woods that surround their villages.